Looking for effective teacher management software that can help you work more efficiently? With our Stripe Integration enabled, you can effortlessly collect credit card payments on behalf of your clients. 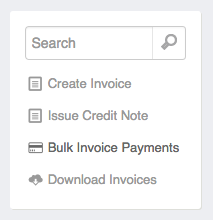 We’ve recently streamlined the process even further by adding a Bulk Invoice Payments feature. 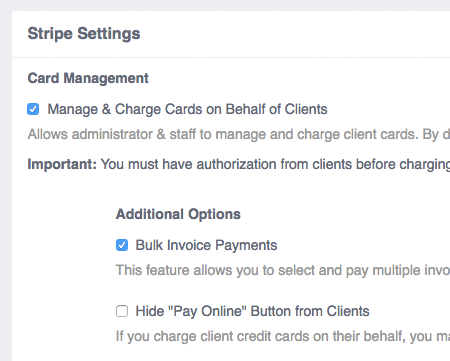 The Bulk Invoice Payments feature allows you to charge multiple credit cards at once through our Stripe Integration. 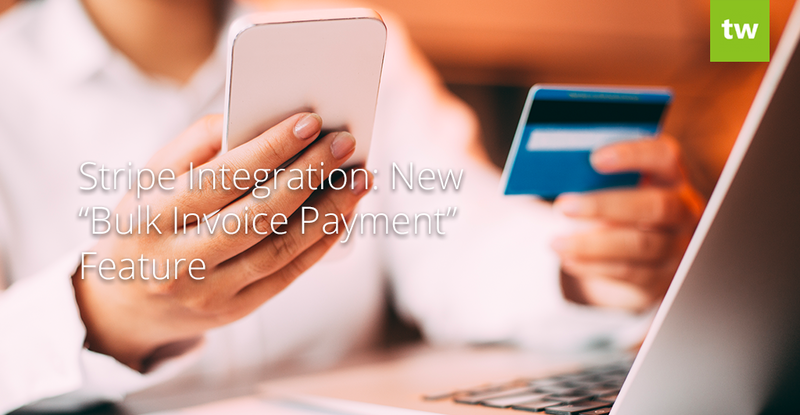 The feature speeds up the payment process significantly and payments are automatically recorded and allocated in Teachworks, making it possible for you to spend less time on managing payments and more time expanding your business. 2. How do you enable it? The option to charge credit cards in bulk is located within the Stripe integration. To find it, click on the “manage” link below the Stripe Integration, enable “Manage & Charge Cards on Behalf of Clients” and then select the “Bulk Invoice Payments” checkbox. Once this feature is enabled, you will be able to see a “Bulk Invoice Payments” link in the sidebar of the Invoices table. By default, you will be able to see all eligible invoices for the current month, but you can easily update this by setting a date range in the fields at the top of the table. If you want to look for a specific client or invoice, you can use the search bar towards the right of the page. You can select individual invoices by clicking on the checkboxes next to them, or you can click on the dropdown menu to quickly “select visible” or “select all”. Once selected, a green payment button will appear at the top of the page. If you’re happy with your selection, you can proceed to submit the invoices for payment by clicking on the green button. Invoices are processed in ascending order by invoice number. 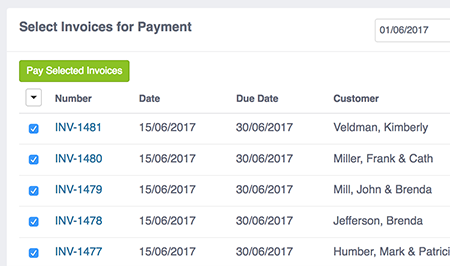 In the situation where a client has multiple invoices, the invoice with the lowest number will be paid first, followed by the others. Teachworks then connects to Stripe and uses the client’s Stripe ID to charge the default credit card. If the default card is declined and the client has additional saved credit cards, the additional cards will be charged one by one till the payment is successful or the client runs out of backup cards. Successful payments are recorded in Teachworks, allocated to the relevant invoice, and marked as paid. If you have payment receipt emails enabled, your client will also receive a receipt. Payment attempts can be viewed in the Payment Attempts table. This table will show succeeded charges, failed charges and an explanation of why the charge failed, making it much easier for you to follow up with your clients. If you would like to start using this new, time-saving feature, you can follow the steps in this article. « “Join a Class” Booking Option, Teacher Bios, and More New Updates!